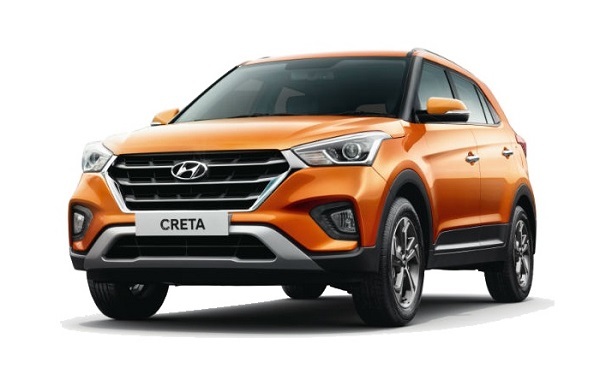 Creta SUV has always been a great selling model in Indian market and due to its success, Hyundai Motor India has launched a new variant of its own Creta SUV. The new Hyundai Creta ‘EX’ variant is launched at a price of INR 10.84 Lakh and is positioned above the base ‘E’ trim. Earlier, Hyundai has discontinued its ‘E+’ variant and now has launched Creta EX in both petrol (1.6 litre) and diesel (1.4 and 1.6 litre) variants respectively, featuring new characteristics and equipment. Along with all new Hyundai Creta ‘EX’ variant, this model is further available in a range of seven variant- E, EX, S, SX, SX Dual Tone, SX (O) and SX (O) Executive. What’s new in Hyundai Creta EX? The new variant of Hyundai Creta will come with LED DRLs, rear holder, reverse parking camera, adjustable headrest and many more. While its diese4l variant will also feature all the above mentioned things along with a five-inch touchscreen infotainment system, steering-mounted controls, sunglass holder and also a front USB charging socket as well. With the addition of Hyundai Creta EX, the company has discontinued its automatic version of the S diesel variant. Apart from this, all the variants of Hyundai Creta will feature dual-airbags, ABS with EBD, reverse parking camera, high-speed alert and seat-belt reminders; as part of the new safety regulations of April 2020. Along with the ones lised above, the other safety features in Hyundai Creta EX model includes speed and impact-sensing auto door lock, lane-change indicator, engine immobiliser, ESC, HAC, rear defogger and ISOFIX among others. Top-spec Hyundai Creta variants also come with 6 airbags as standard. The 1.4-litre diesel churns out 89bhp and 220Nm of torque while the 1.6-litre diesel puts out 126bhp and 260Nm of peak torque. The engine options are mated to either a six-speed manual or automatic gearbox.